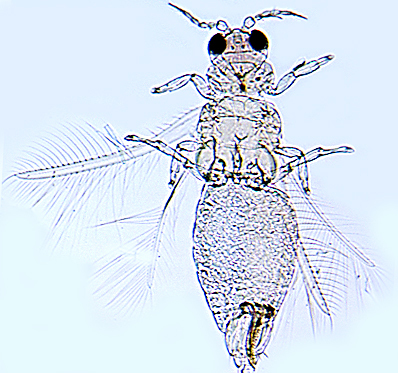 Females fully winged. Body whitish yellow with no brown markings; forewings light brown with apex paler; antennae pale brown with segments IV–VI sometimes yellow at base. 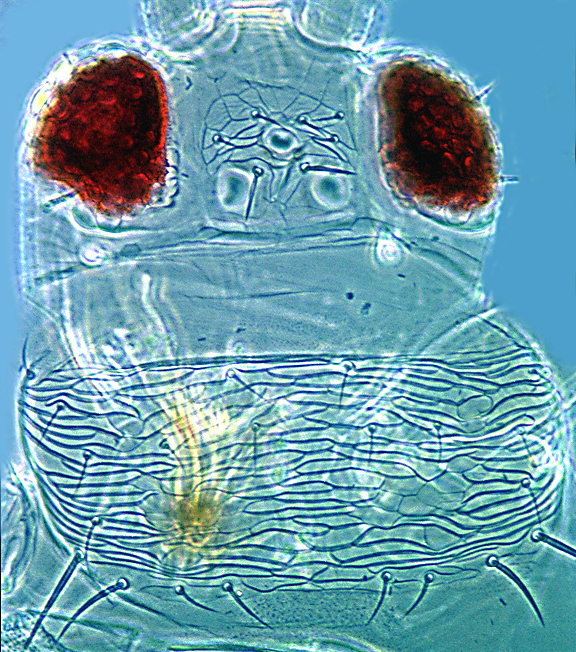 Head wider than long, finely reticulate between ocelli; ocellar setae pair III small, arising between anterior margins of posterior ocelli. 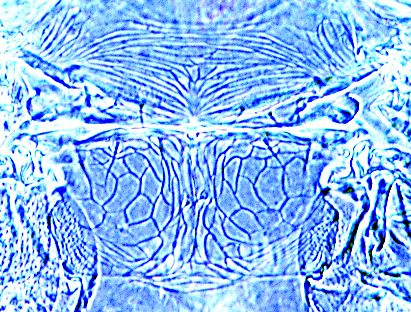 Antennae 9-segmented; segments III–IV with long forked sensorium, segment VI inner margin with long sensorium arising close to base. Pronotum with narrow transverse reticulation but no markings between the main striae; posterior margin with three pairs of setae and one pair of longer posteroangular setae. Metanotum with closely spaced longitudinal striae, median pair of setae small and far distant from anterior margin. 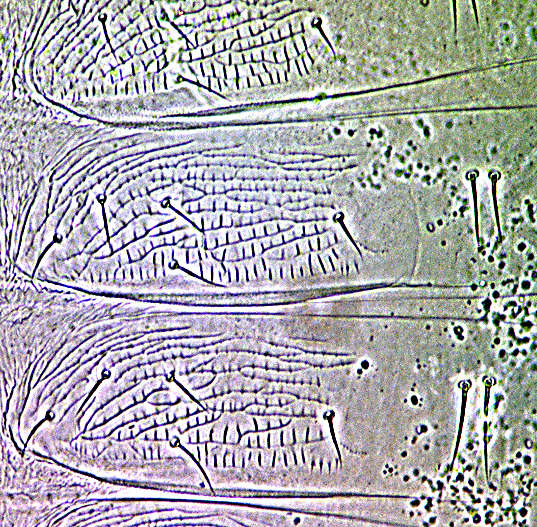 Fore wing first vein with two widely spaced setae on distal half, second vein without setae; wing apex with one stout seta; cilia arise ventrally close to anterior margin. Tergites with median pair of setae longer than distance between their bases; sculpture on lateral thirds with short longitudinal lines giving appearance of microtrichia; posterior margin of VIII with complete comb; tergite X with no longitudinal split. The genus Pseudodendrothrips includes 17 described species, but the significance of some of the species in which the body colour is mainly yellow remains conjectural. P. mori that has no dark markings on the head and pronotum, but apart from this it is closely similar to P. darci and also P. bhatti Kudo from Japan, and these three possibly represent colour variants of a single species (Mound, 1999).